On August 13, 1952, Herb Ritts made his appearance into this crazy world. Born into a southern California Jewish family, Herb enjoyed a comfortable childhood. Ritts was part of a wealthy family who lived in an exclusive mansion in Beverly Hills and also spent his lazy summers at his estate on fashionable Santa Catalina Island. Knowing this it is probably safe to say that Ritts grew up in glamorous surroundings with movie stars for neighbors (Arce, pg.1) In the fall of 1970, Ritts moved east to New York where he received his Major in Economics at Bard College. After graduation, Ritts returned to southern California where he started to work at his parents’ lucrative furniture store as a sales man (Arce, pg.1). Ritts had not clearly decided what profession to pursue. He certainly did not consider a career in photography at this point. He had only recently taken up with the camera as a hobby. But in 1978 he had his camera with him when he and a friend, the little-known actor Richard Gere, had to stop at a gas station near Bakersfield California to repair a flat tire. Among the pictures Ritts snapped that day was one of a sweaty Gere clad in worn jeans and a white tank top. His arms languidly stretched over his head and a cigarette dangled from his mouth erotically (Arce, pg.1). It was this tender “James Dean” machismo captured in this photograph of the young Gere that got him the leading role in the 1980’s movie, ‘American Gigolo’. Simultaneously it launched Ritts’ career as a commercial photographer (Designboom, pg. 1). Ritts sent his photos to Richard Gere’s publicist. “A few months later she sent me Vogue, Esquire and Elle. They all needed my pictures. I got checks too,” Ritts recalled (Arce, Pg.1). Ritts had found his calling as a photographer and his pictures where in much demand. Within a few years his photos were gracing the covers of Vanity Fair, Vogue, GQ, Haper’s Bazaar and Interview (Arce, pg. 1). He became well known for his dramatic black and white photographs that focused on a single part of the subject’s body. 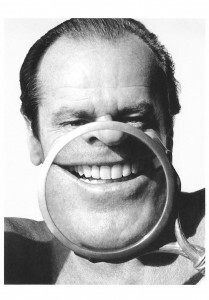 His photograph of Jack Nicholson’s headshot with a magnifying glass emphasized Jack’s great character and his best attribute, his” loud” mouth. Jack later on received the roll as the “Joker” in the 1989 Blockbuster, Batman. Herb Ritts photography celebrates the beauty of the well- developed human body. Some of his images have been compared to “classical statuary” because of the exquisiteness of the subjects’ forms (Arce pg. 1). “Drawn to clean lines and strong forms. The graphic simplicity allows my images to be read and felt instantaneously” was a quote given by Ritts himself. He took great pleasure in evoking the tactile appeal of surface textures, showing the body flecked with grains of sand, veiled in sheer fabric, caked with drying mud, or exposed to cascading water. While some figures exult in their male or female identity, in other images the emphasis is on the shapes of limbs and muscles or tender connection of intertwined bodies (Designboom, pg. 2). There are very few facts on Herb Ritts battle with H.I.V. . His fight with the virus ended the day after Christmas in 2002 due to pneumonia. Ritts was only 50 years old. The photographic world had lost a true Master of this craft. I truthfully believe that he already had left his lasting mark on the world’s image-makers of photography. He is a source of inspiration to many photography students and is at the top of the list of my heroes. 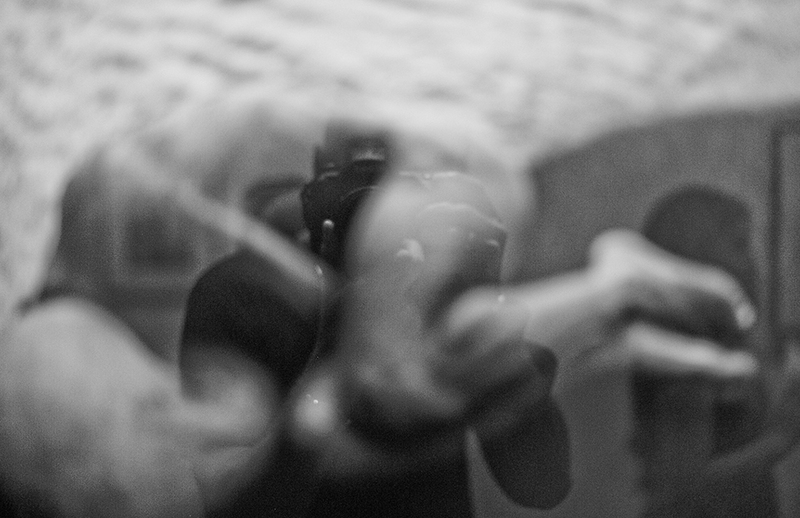 I hope to pursue and obtain the same strong impact that his human body life forms had with my own photography. While his gifted life ended prematurely, I hope his style of photography can live on through my own eyes while respecting everything I learned from his dynamic photographic images.